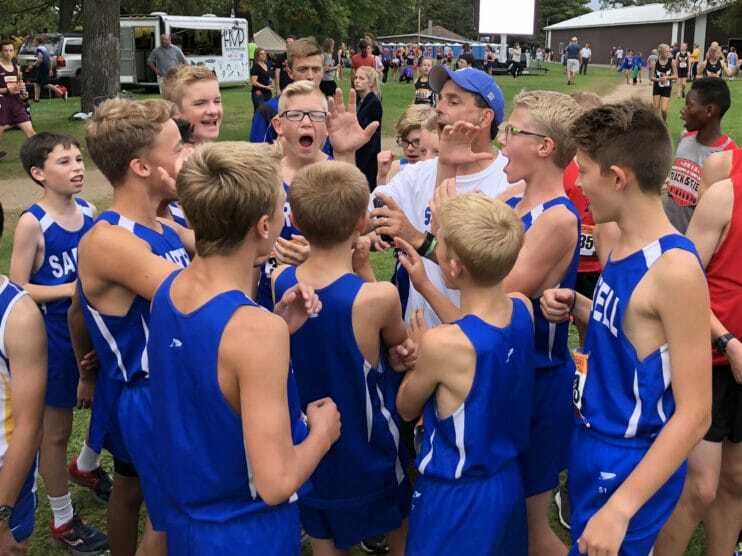 Coach Dave Driste gives last-second advice to members of the Sartell Sabres Cross Country Team before their race at the Lucky Lindy race in Little Falls on Sept. 13. Twenty-five teams competed in the event. The girls varsity team finished second. The boys varsity team captured fourth place. 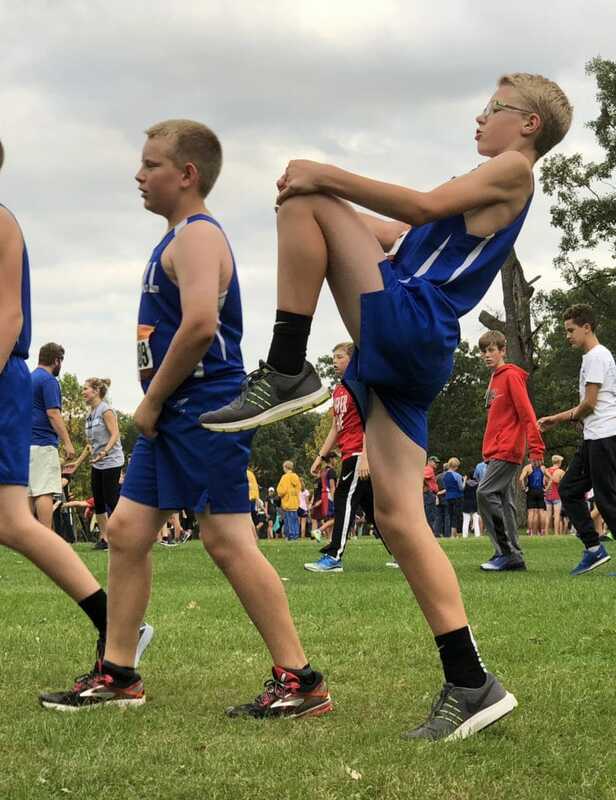 Grant Clark stretches before his cross country race in Little Falls on Sept. 13.